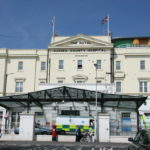 A key NHS organisation in Brighton and Hove has been graded good just 12 months after its performance was rated as inadequate. 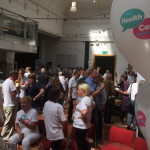 The Brighton and Hove Clinical Commissioning Group (CCG) has been rated good – the second best rating out of four – by NHS England. Every CCG in the country is assessed annually as part of an “Improvement Assessment Framework” and has been rated outstanding, good, requires improvement or inadequate. NHS England placed the local CCG in “legal directions” – the equivalent of “special measures” – last year after it was deemed to be “failing to discharge its functions”. Legal directions means that the CCG has less control over the decisions it makes to commission services for patients. In October last year David Supple was elected as the new clinical chair and Adam Doyle was appointed as the new accountable officer. Since then improvements have been made in a number of areas within the organisation. This has included undertaking a full governance review, restructuring the clinical leadership, improving engagement with member GPs and starting work to improve staff morale. These changes have coincided with significant improvements to the CCG’s performance against national standards. These have included reductions in waiting times for treatment and improved access to urgent care. The CCG has achieved these improvements while ending the past financial year with a balanced budget. The improvements have helped the CCG to go from being one of the poorest performing nationally to one of the most improved in the country in less than a year. Accountable officer Adam Doyle said: “This is testament to the hard work and commitment of everyone working at the CCG and all our partners across the local health system and I would like to thank them all for their continued efforts. “It is been no means easy and has not happened by accident. It has needed a huge collective team effort right across the board. “We know we still have work to do, however, to get to where we want to be and our focus now will be on building on the work we have done to continue our journey of improvement. As part of the good rating, NHS England highlighted the improvements made by the CCG in reducing patient waiting times for treatment and urgent care while achieving financial stability. NHS England also praised the CCG for improving working relationships with partners, more effective governance processes and practice, increased strength in depth within the governing body and executive team and the work being carried out to improve staff morale. Dr Supple said: “When you consider where the organisation was not so long ago, to be rated as good is a phenomenal achievement and would not have been possible without the clear direction, focus and leadership that Adam and his executive team have brought to the organisation. “I would like to give particular thanks to them for their continued hard work and also show my appreciation for the contribution of everyone who has played their part. “Most importantly, this is not just about improvements we have made within the organisation. How have you been able to obtain this information? It seems to me that there has been some quite high level pummelling of the medical profession to get your hands on this kind of intimate detail. I can only surmise that you have been able to extract such exacting data following rigorous probing at sauce….sorry source.